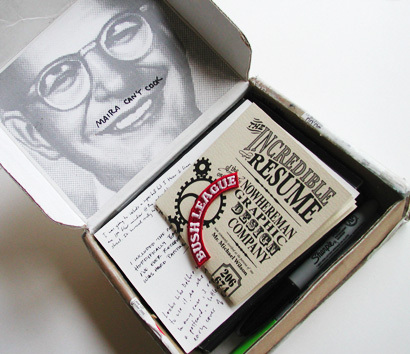 A creative resume is a great way to stand out as a job candidate. Here are some inspiring resume designers that have been taking the art of creative resumes to new heights. Take a look. Feeling creative? 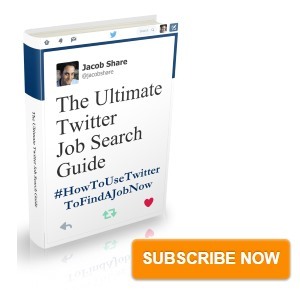 Subscribe to JobMob via RSS or email and follow me on Twitter for more job search inspiration for your creative side. These are great! I love seeing creative resumes like this. Thanks so much for displaying all of these, they’re great! These are awful. As a senior designer, I wouldn’t consider any of these people for a position, and it’s not because I don’t like “individual” cv’s, it’s simply that the examples you use here are examples of appalling design. The toolkit and poster have at least been designed by someone with some grasp of aesthetics, but the rest are plain ugly. Merci de ta visite et de ton commentaire, au plaisir de te lire ! These are really creative resumes… Though it might not work everywhere 😛 it sure is admirable..
I’m not sure if those would get anyone hired, but they are creative. Great post and pictures. I like best the idea that people got jobs from handwritten notes. Nice work: stumbling thumbs up! Maybe the contents of these resumes aren’t the best, but A+ for the overall ideas. I’d consider these applicants first. But, can’t say the same for other up-tight hiring managers who are a-holes. that was amazing,i wonder how the boss responses when they see those resumes. I love this blog post. I love the creativity and the relevance of each person resume that ties into their personal DNA. 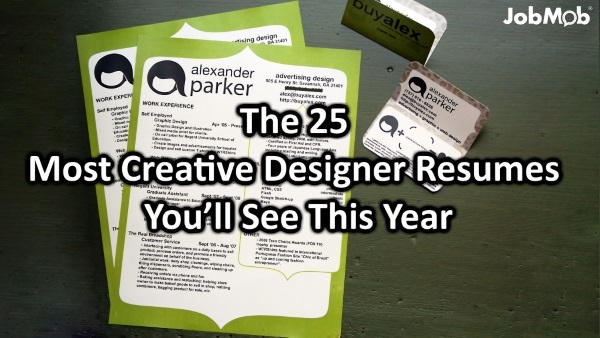 Great list, I particularly liked the tshirt resumes. brilliant! Magnífico post y excelente la recopilación de cv creativos. Gracias por mostrarlos. Un saludo. FYI, the embedded YouTube video comes up as “not available” now. Thanks for the heads-up, Mat. It’s fixed now. 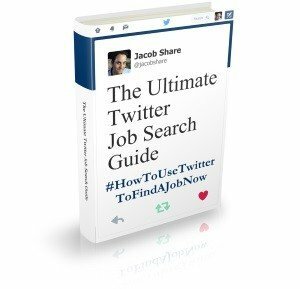 Probably been done before.. Twitter CV, I thought it was creative..
.-= John McLear´s last blog ..Trying out remote support in Primary Schools (again) =-. nicknackdesign- look for an older version of those programs. Not only are they more likely to work on your older laptop, you might even find them for free or close to free. no wonder they are all unemployed. hope my resume can join the above creed……….. These resumes look great – well most of them – however I would suggest they be used when applying for ‘creative’ jobs only. I must stress use with caution as I doubt many employers would take them seriously. However with Social Media etc so prevalent today, we may see more creative resumes, video resumes etc. This post inspired me to create my own Digital CV. Check it out here and give me feedback, please. Duncan- yours is very slick, looks great. Thanks to both of you for mentioning them here. Very creative, but your resume is any potential employer’s first impression of you and some of these just say sloppy. Unfortunately the Recycled one also has computer spelled wrong twice under Education. It’s extremely important to proofread any resume! It’s always best to show your best work. Don’t try to impress with a cv, try to impress with a strong portfolio! These cvs are largely inappropriate for anything but a page of curiosities on a website like this. It’s a shame that iPads don’t support Flash. I can’t see half of the creative CVs that are posted! They are all beautiful, but the creators have forgotten that HR people are completely boring. Kami- looks great. Well done!